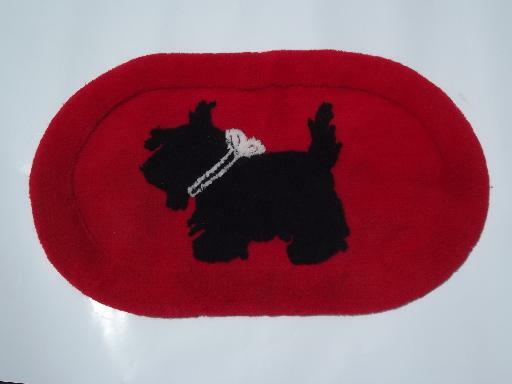 cutest ever vintage Scotty dog rug, red w/ black Scottie, 50s retro! 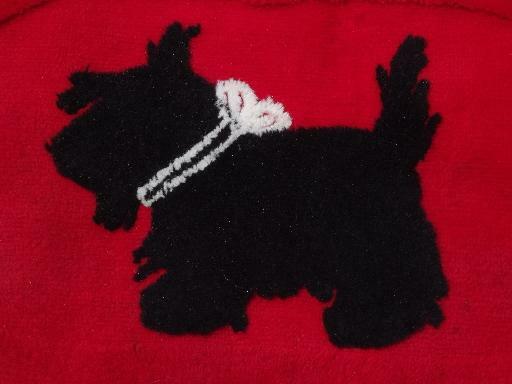 Vintage rug with Scotty dog in black on red, plush synthetic yarn, nice and clean. 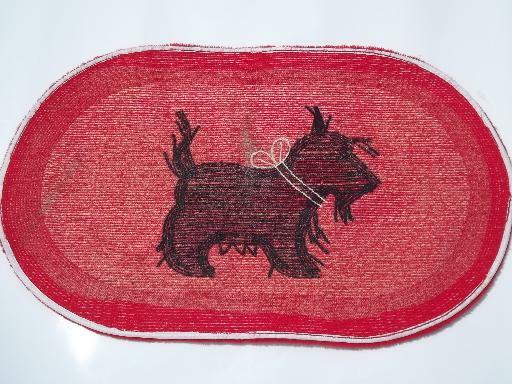 It's 36" x 21" overall. There's just traces of non-skid material left on the backing, so you'll want to use a non-skid treatment or pad on this for safety!